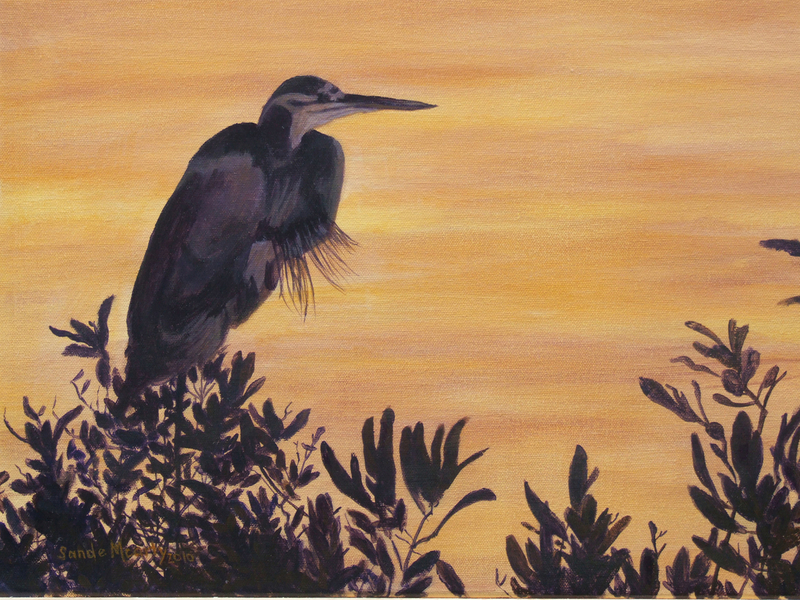 Acrylic/Canvas 2010 This Great Blue Heron sits in the treetops at sunrise. Click on title for print options! 5" x 6.625"9" x 12"17" x 22.625"21" x 28"